We’re an independent cafe and we’re passionate about freshly prepared, locally-source food. 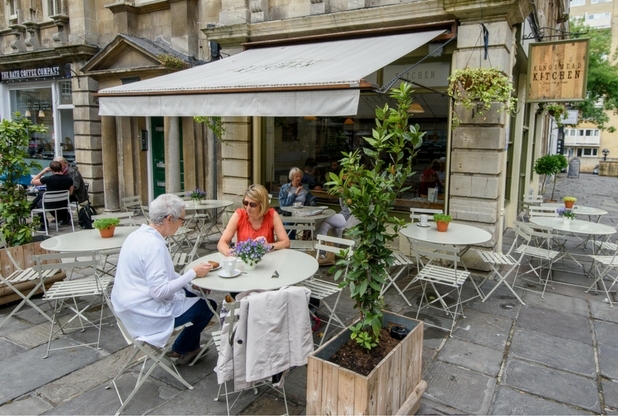 Based in the centre of Bath’s cafe culture on Kingsmead Square, we prepare traditional dishes with a European twist. We serve fantastic all-day breakfasts, smoothies, salads, toasted sandwiches, pastries and cakes and much more. We’re passionate about our seasonal dishes so make sure you check out our specials board. We’re also full-licenced with a range of local beers and ciders and wine by the bottle or glass.